Therapists will be trained in one-footed Posterior and Anterior protocols and be shown how to safely and effectively provide a 90-minute full body Ashiatsu treatment. This 3-day introductory course is designed to teach massage therapists how to administer western barefoot massage techniques. Therapists will learn compression, effleurage, petrissage, tapotement and some trigger point work all performed with the feet. This is the foundation course that will get you started and yearning for more once you master the art of flow and basic barefoot massage application. 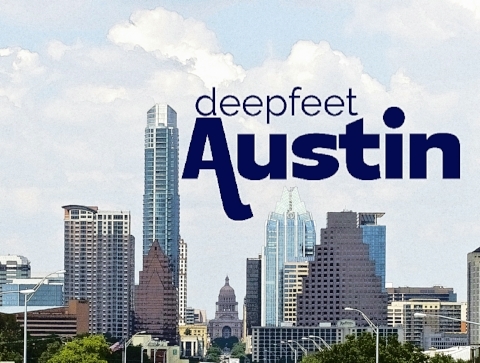 The Advanced Deepfeet Bar Therapy™curriculum utilizes a variety of barefoot techniques to improve the client’s postural alignment, range of motion, muscle responsiveness and overall health and well-being. As a practice, it is compromised of a set of unique and proprietary foundational and structural techniques, Utilizing what we call the “3 Connects”. The first connect is compression, the second connect is engage and the third connect is activate. Together these three techniques work in harmony to provide an effective muscle release technique that is beneficial for clients experiencing pain and limited range of motion from repetitive stress injuries, work out related soreness and past traumas or injuries resulting in scar tissue formation. Client assistance during the application is involved with multi-positioning to locate anterior, lateral, medial and sagittal muscles in relationship to surrounding structures and landmarks. Upon completion and practice, students will gain enough confidence and knowledge to perform up to a 2 hour Ashiatsu including posterior, anterior and side lying barefoot massage techniques. Ashi-Thai is an expression of traditional Thai techniques and exercises that have been modified to use with bars on the ceiling. Ashi-Thai massage is performed with the client fully clothed, without oils or cream. This style of massage incorporates stretching and compression to help loosen tight muscles and correct posture. This course is perfect clients that can benefit from stretching and can be used in conjunction with all other barefoot massage techniques. Many Ashi therapists offer a 2-hour Ashiatsu session and incorporate 30-60 minutes of Ashi-Thai stretching. This one day introduction class to barefoot massage will allow you to dip your toes in the water and get a taste of Ashiatsu without having to install overhead parallel bars. This class is ideal for any therapist seeking new tools and methods for deep tissue techniques. You will learn a full 60-minute barefoot protocol that combines the seated prone, supine, and side-lying barefoot techniques. This course includes warm-up strokes such as effleurage, petrissage and compression, and also includes deeper techniques like cross-fiber friction, positional release and trigger point therapy.